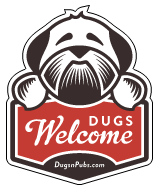 We are Edinburgh’s premier dog walking service. Based in Balgreen, we offer a fun, interactive and play-based experience for our dogs. We offer group walks, doggy daycare and ‘clan crusades’. We pride ourselves on providing an amazing service for both our dogs and their ‘humans’. All of our walkers hold qualifications in Canine First Aid, are registered with the council and have Basic Disclosure checks for your peace of mind. Please check out our website for more information and details of how you and your fur baby can join our clan!